Let’s start by asking ourselves a simple question; what value does Facebook provide to society? I can already hear people say 'wait a minute', and start to argue that Facebook informs, entertains, connects, and allows us to stay in touch with family and friends. Facebook is a social sharing platform that connects people. However, unlike a Warby Parker or Unilever, it does not make or sell any tangible products to improve our health or well-being. It is true that the same can be argued about eBay, Alibaba and Airbnb. They don’t manufacture goods, but merely facilitate transactions between buyers and sellers. However, Alibaba is an online mall where third parties sell products and Airbnb’s service fills a real-world need for accommodation. With Facebook there is one fundamental difference - you and I are the product. Without user-generated content and our friends and family engaging with it, Facebook makes and offers nothing. It is entirely powered by our routines, my stories, your creativity, and our combined curation of third party news and articles we post. 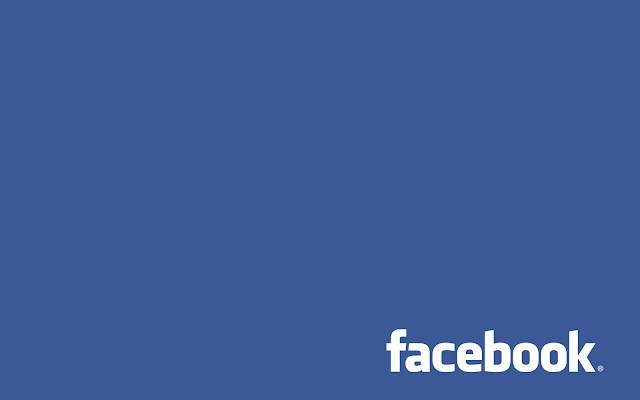 Facebook is powered by you and me. Technology has certainly made it easier to connect and as a result we have all become lazier about making the effort to stay in touch; but let’s be clear that there is no innovation in terms of how we share, build relationships or create emotional bonds that Facebook has invented. Consider that the non-technological version of the online platform existed for millennia in the form of Roman marketplaces and even modern day malls where people broke bread, socialised and had the ability shop from multiple vendors, all under one roof. Facebook says they offer a forum to express ourselves freely and in saying that they pretend to empower us. They claim to be a democratic and open platform designed “to give people the power to share and make the world more open and connected” (source: Facebook Mission), when in reality and behind the scenes, they are doing exactly the opposite. They have been caught manipulating our newsfeed, by showing overwhelmingly negative or positive posts and using us as lab rats to be “part of a psychological study to examine how emotions can be spread on social media.” (Source: New York Times article). More recently an employee claimed they routinely censor right-wing content…” (Source: PC Mag article). Another tech consultant who worked there disclosed that “Facebook collects all content that is typed into its website, even if it is not posted…” (Source: Information Age article). More worryingly, earlier this year the Wall Street Journal reported that Facebook was starting to spread its tentacles into the personal lives of non-Facebook users; going well beyond the four walls of their own platform by tracking people all over the web under the guise of showing more targeted ads. “Now Facebook plans to collect information about all Internet users, through “like” buttons and other pieces of code present on Web pages across the Internet. (source: Wall Street Journal). Facebook has also announced that they are going to crack down on ad blockers and click bait headlines to make room for more advertising. They intend to do this by “making its advertisements indistinguishable from the status updates, photo uploads, and other content that appears in your news feed” (Source: PC Mag article). They justified this change with the now all too familiar refrain that because Facebook is a free service, they rely on advertising to keep them going. I understand that we need to give up some privacy in a digitally connected world, particularly where we expect things for free. But there also need to be rules around what is permissible and what crosses the line. Beyond privacy, the greater issue is that so much information concentrated in the hands of one or two companies makes conditions ripe for abuse. The point is not whether Mark Zuckerberg is trustworthy or if he truly has noble intentions. Nor am I suggesting that Facebook is an evil corporation run by hobbit in a hoodie. Facebook has already been caught abusing their power numerous times from manipulating the newsfeed to using sophisticated algorithms to pick, choose and limit news, articles, politics, entertainment and information we are able to see and share. Like every other global corporation in history, they are not immune from the temptation to abuse power in the search for growth, expansion and profits. Their misleading and altruistically packaged attempt to create a walled off internet, with a Facebook monopoly, in the developing world is yet another example of business intentions gone totally awry. You can read my piece about it here “How Facebook Can Fix Internet.org”. Think about the fact that, with 1.7 billion active users (a number that continues to grow), they have greater influence than any government or news organisation has ever had over our worldview. They have more personal information and greater power than the Soviet Union had on its people at the height of communism. This should concern all of us. The point is that no single company should hold this kind of power and influence over so many people. It will not end well; human beings are corrupted by absolute power. We cannot change the nature of the beast. Your second to last paragraph is horrifying--I never thought about fb vast influential powers quite like that. Even if we all opted out and close our fb accounts...it's too late they know all too much about us already.